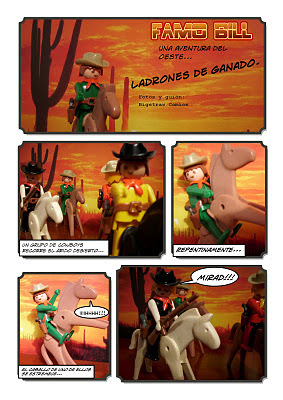 I got an email this week from the creator of a really nice looking webcomic that uses toys. It's in Spanish, for those lucky enough to read that language. Don't worry...that's what the 'translate' button's for. Thank you very much David, to post the link of my webcomic.